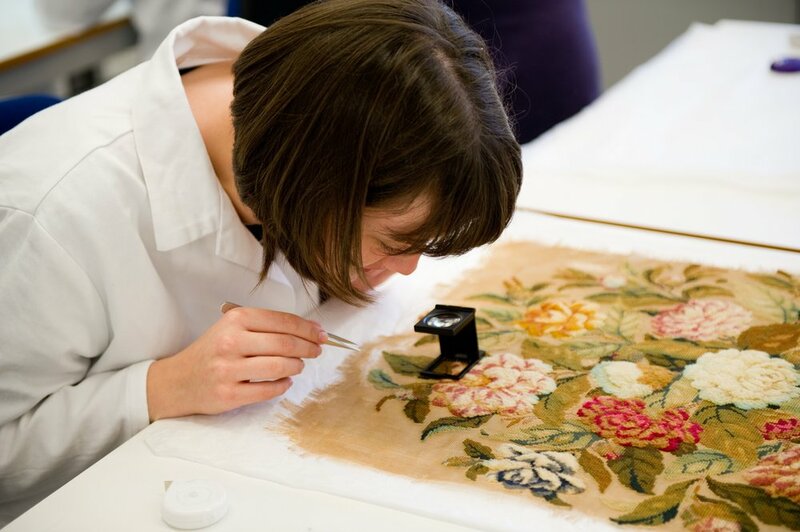 Founded in 1975, the Foundation supports textile conservation education and research through the Centre for Textile Conservation, part of the University of Glasgow. Between 1975 to 2009 we supported the CTC’s predecessor, the Textile Conservation Centre. This site tells you about our work today and about the history of the TCF and the Centres. You can find out how we support textile conservation students and research and about the generous funders who make our work possible. The Textile Conservation Centre (TCC) was founded in 1975 by Karen Finch OBE. Recent news from the TC Foundation and the Centre for Textile Conservation.